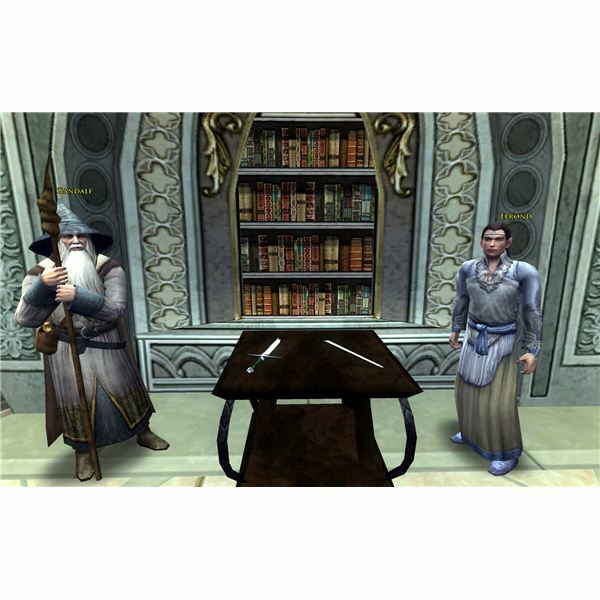 It can be very difficult to play Lord of the Rings Online without several key items. While potions and food are some of the most useful items in LOTRO, jewelry is an absolute necessity. But who makes these awesome items that are not only functional, but expensive? The answer lies in LOTRO crafting, or the professions that every player can take. But what are the best professions in LOTRO? Keep reading to find out. Cooks are one of the best professions in Lord of the Rings Online, primarily because they make one of the most useful items in the game…food! Different types of food have different effects, but they are all fantastic at keeping adventurers alive, well, and killing mobs well above their level. Trail Foods offer temporary, although long lasting, buffs to your primary statistics like will, fate and vitality. Even at lower levels, such as 20-30, trail food can offer bonuses of 12 points and up for your stats. Cooked Foods are some of the best useable items in game, as they provide vital in-combat morale regeneration over a short period of time. At lower levels, this can mean over 150 morale every 30 seconds, which can mean life or death against elite units or big groups of Wights. But one of the best things about cooking in LOTRO is that food sells pretty well. Everybody needs it, and everybody wants it. useful research hidden in undead ruins, on terrifying wights, or in the bowels of dwarven mines-turned goblin fortresses. Why would anyone risk their necks for these ingredients? Because Scholars are the only profession in LOTRO that can make potions. Athelas essences are extremely useful one shot morale instant regeneration potions, that can heal players for over 1000 morale at higher levels. Obviously, these potions are necessary to survive tough fights in LOTRO. Celebrant salves are just as useful as Athelas essences, but instead of morale, they regenerate power. And without power, there would be no fighting. At level 25, a greater celebrant salve would deliver 320-340 power to the user, essentially saving that Guardian from wiping with the rest of his fellowship in GA.
Dyes – ok, these are just for fun…..and sweet sweet money. Dyes are used to, well, dye armor and items to provide handsome burglars with all black gear, or frilly little loremasters with violet dresses. Meaningless, right? Not so, as in LOTRO dyes are some of the hottest and most expensive crafted items on the Auction House worldwide. People just love to play dress-up. There are many other useful items that come from Scholars, but despite its difficulty, Scholar is one of the best crafting professions in LOTRO. And the best profession in LOTRO is…Jeweller. Unfortunately, jewellery crafting is boring, as in order to get gems, you must mine them yourself, find them off of brigands and orcs, or buy them from the Auction House. It does take some time to skill up, but the rewards are worth it, as Jewellers make some of the best LOTRO items. Stat enhancements – really the biggest thing Jewellers do is create amazing works of stat enhancing art, such as bracelets, necklaces, earrings and rings. Normally, these are similar to quest rewards per level, until you start getting critical successes on guild items, such as the Etched Sapphire Bracelet of Agility, with +20 agility, +10 might and +30 in combat power regen…at level 31! Also, critical jewelery are some of the most expensive items in LOTRO. Tokens – another fantastic item from Jewellers, tokens add hope to your character, becoming an absolute necessity in many boss fights that have significant amount of dread attached to them. Hope boosts your morale and keeps you from trembling in dread from scary bosses like big nasty spiders. Jewellers are the best LOTRO profession because they make the best LOTRO items. Ready to see which professions will help you make money in Lord of the Rings Online and which will fit your gaming style best? This series will take you through the different professions so you can choose the one that is right for you.